Improving colt Protonico (3c Giant’s Causeway x Alpha Spirit by AP Indy) posted his first Black Type success when taking out the Grade III Smarty Jones Stakes at Parx Racing. Prepared by Todd Pletcher, Protonico finished strongly to win the 1m70yd contest by half a length his overall record now three wins from five starts with prizemoney of $259,715. 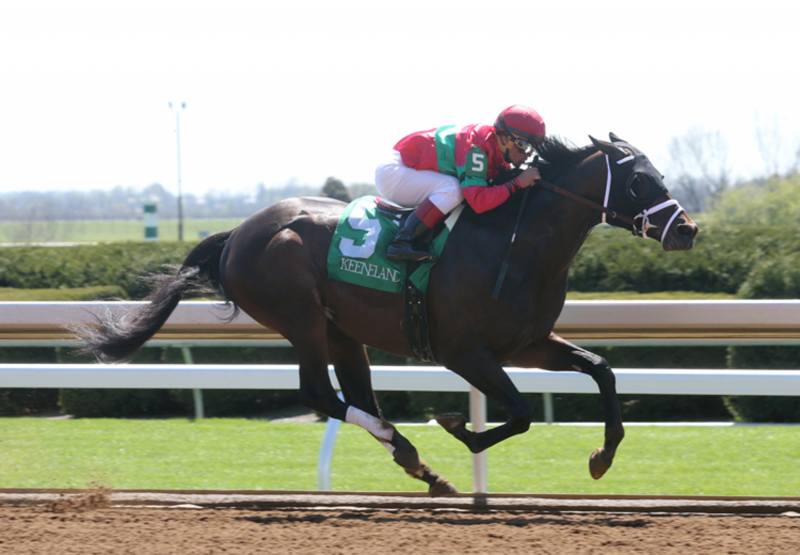 “He was traveling well, I though Joe [Bravo] had him in a good spot,” said Byron Hughes, assistant to Todd Pletcher. A homebred for International Equities Holding, Protonico is the first winner for Alpha Spirit, a sister to stakes-winner Diva Spirit and daughter of Chilean Champion 3YO Filly Wild Spirit. Protonico is the 142nd stakes-winner worldwide for champion sire Giant’s Causeway.